Looking For Coach Hire in Chichester? 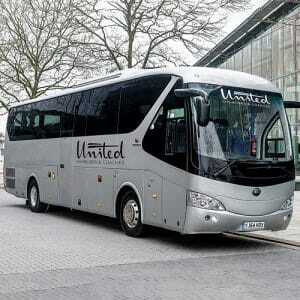 Do you need reliable coach hire in Chichester? 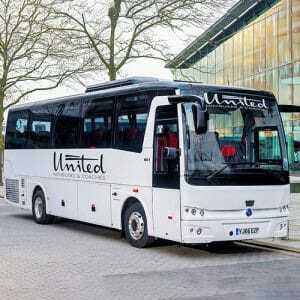 If so, United Minibuses and Coaches are at your disposal. Whether you’re looking for a dependable minibushire in Chichester to take your guests to your wedding venue in style or whether you’re heading out for a day out as a group in the Sussex countryside, we’re one of the top options for minibus hire in Chichester. Why Choose Our Coach Hire in Chichester? 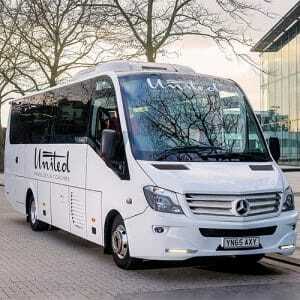 When you’re looking for a luxurious minibusor coach in Chichester to take you, your friends and family to your chosen destination, United Minibuses and Coaches is delighted to be your first port of call. We have an impressive fleet of stylish and modern vehicles which set us apart from our competition. When you choose our service, you can be certain your trip won’t be just comfortable, it’ll be incredibly safe too. All our luxury coaches have seatbelts for your security as well as a host of other welcome features such as climate control, CCTV, DVD and CD players and reclining seats to ensure your trip is the best possible experience. We have coaches which are large enough for 57 passengers, so you can depend on us to take your entire group wherever you need to go. Do You Need Minibus Hire in Chichester? Maybe you’re trying to arrange a night out with family or friends without the need for anyone to be a designated driver? Or maybe you’re going to one of Sussex’s local attractions as a group? Maybe you need to get to the airport in time for your flight? If so, our minibus hire in Chichesterservice is perfect for your needs. 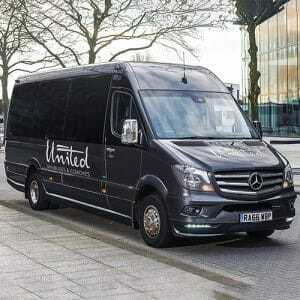 When it comes to minibus hire, Chichesterhas several companies to choose from, but not all can take you to your destination in luxurious style. We have modern vehicles with stylish leather seats, reading lights and arm rests together with CCTV and seatbelts for your protection and safety. You’ll be well entertained on your journey thanks to our vehicles’ DVD and CD players, flat screen monitors and USB connectivity, and you’ll stay cool and comfortable thanks to climate control and refrigerators for your drinks. If you’re visiting Chichester, United Minibuses and Coaches is proud to take you and your group wherever you need to go. The area surrounding Chichester boasts a host of impressive attractions, and all are within easy reach when you opt for our minibus or coach hire. Here are just some of the top local attractions in the Sussex area. Weald & Downland Living Museum– step back in time at this 40 acre set in the heart of the South Downs National Park. Find out more about the people who lived and worked in buildings dating back to the Anglo Saxon era and enjoy beautiful walks in the surrounding woodland. Goodwood– this grand house has something for everyone. Its stunning architecture and interiors will please history buffs while sports enthusiasts will enjoy the gold, motor racing and horseracing here. West Dean Gardens– discover one of England’s most beautiful gardens set in the gorgeous South Downs. With its 50 acre arboretum, Edwardian pergola and Victorian glasshouses, this is a fabulous day out in the heart of nature. Marwell Zoo– get up close and personal with exotic creatures from all over the world at Marwell Zoo. Learn more about all kinds of animals and participate in fascinating animal-themed activities at this popular attraction. 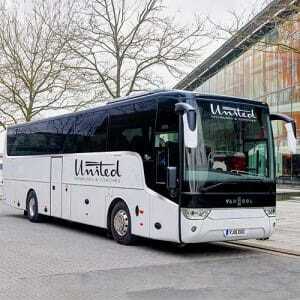 Discover these fantastic destinations with United Minibuses and Coaches’ luxury minibuses and coaches in Chichester. Make us your first choice for minibus hire in Chichesterand call our team today today – we’re looking forward to serving you.